1. First of all, prove the magic of true love with engagement photos taken on Platform 9 3/4. 2. Or inform everyone how compatible you are with game-changing portraits. 3. And continue the theme with wedding stationery that'll have all your guests saying, "Way to go!" 4. Let the world compute how in love you are with this 8 bit-inspired gold engagement ring. 5. Or discover the formula for everlasting happiness with this ring in the shape of the structure of serotonin. 6. Show how you've traveled through space and time together with this Doctor Who TARDIS ring box. 7. Add a Darth element to an all-white wedding dress. 8. And make your hairstyle a subtle nod to Princess Leia while you're at it. 9. Horse around in these killer Rohan-themed shoes. 10. 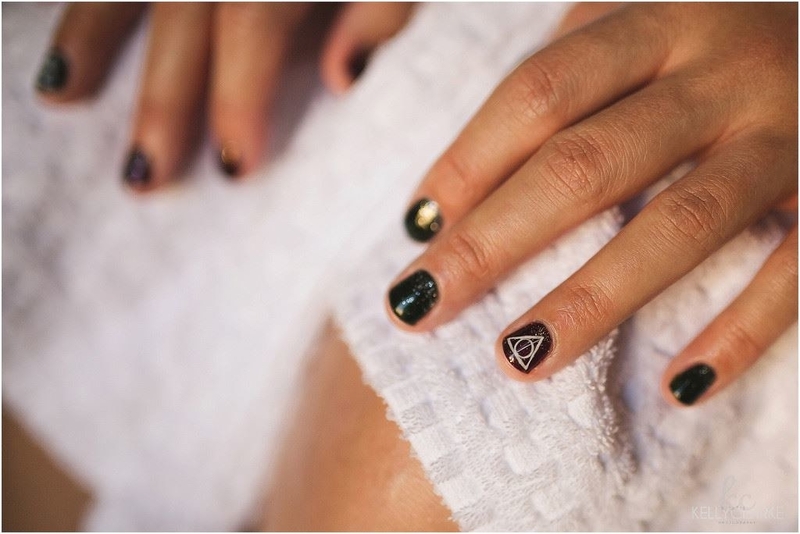 And defend yourself against the dark arts with simply magical Harry Potter jewelry and nail art. 11. Turn old comic books into awesome boutonnieres that really pop. 12. Or fasten truly enterprising Star Trek tokens to them. 13. Gather your comrades for a group photo before searching for the Silver Crystal. 14. And carry the most stacked bouquet that money can buy. Get a similar one from The Lego Bride. 15. Exchange vows in front of a subtly steampunk backdrop. 16. 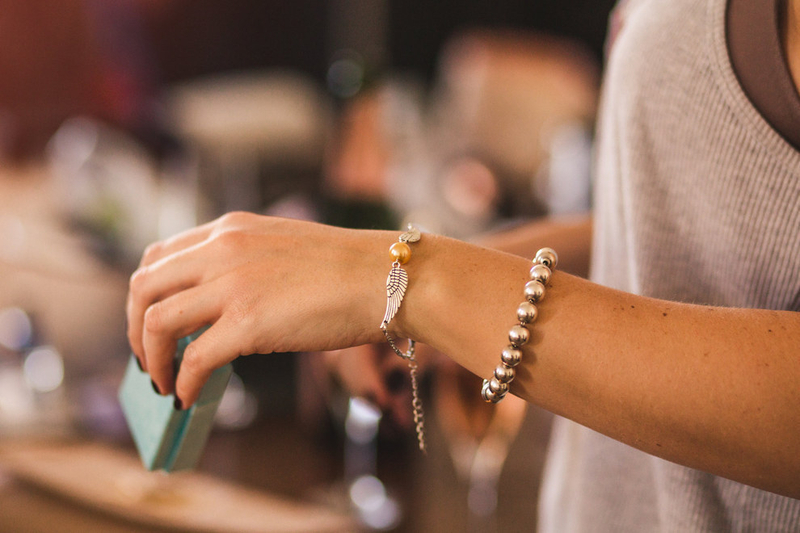 Help guests find the very best seats with Pokemon tags that double as wine glass charms. 17. And use your favorite board games as table numbers for a fun ice breaker. 18. Or if Legos are more your jam, set some up as centerpieces people can build themselves. 19. Skip the traditional first dance and make some magic with wands instead. 20. Create a tabletop Quidditch game for some mid-wedding wizardry. 21. When that's all done, cut into this Catan-believable wedding cake. 22. Or tempt the fate of a Red Wedding with this Game of Thrones-themed cake. 23. Use this sonic screwdriver cake cutter and server to cut the first slice. 24. Show guests why you're so serious about each other with this Joker-inspired signature cocktail. 25. Instead of a guest book, have guests sign this Groot and Rocket poster. 26. Take some out-of-this-world portraits. 27. And when the big day's finally over, drive off into the sunset with this sweet new windshield decal.